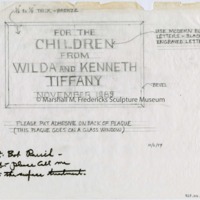 Sketch for plaque for "Christ and the Children"
Sketch for plaque for "Christ and the Children" located at St. Hugo of the Hills Catholic Church in Bloomfield Hills, Michigan. 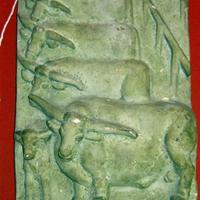 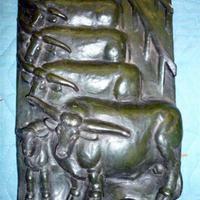 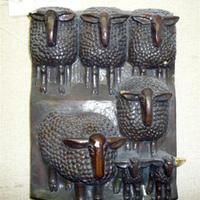 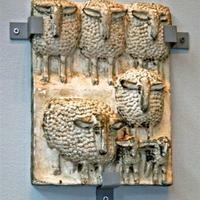 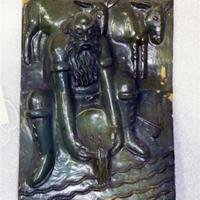 Plaque reads "FOR THE CHILDREN FROM WILDA AND KENNETH TIFFANY NOVEMBER 1989"
Seven sheep depicted in this relief. 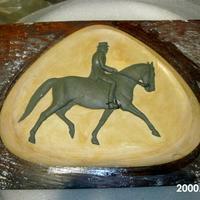 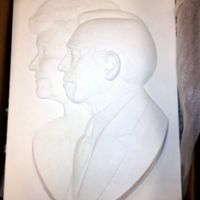 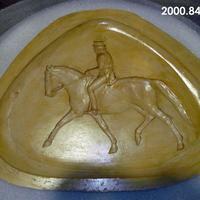 Plaster model relief.